The Way We Were: Harry & Phyllis Geiger - The Resident Community News Group, Inc. | The Resident Community News Group, Inc.
A Diplomate, American Board of Orthodontics, Dr. Harry Lawrence (“H.L.”) Geiger has earned his wings as one of the nation’s top orthodontists, having served as president of the Northeast District Dental Association and chairman of several Councils for the Florida Dental Association. During his nearly five decades of fashioning straight teeth and bright smiles, Dr. Geiger has always gone above and beyond…seeking new and innovative procedures for his patients; reaching out to educate and encourage youth in the community about better dental hygiene. One example of his dedicated outreach was the early role he played as project director of a major dental exhibit in the Medical Dental Science Wing of the Jacksonville Children’s Museum (now MOSH), which was toured with great enthusiasm by elementary students from throughout Duval County and beyond. 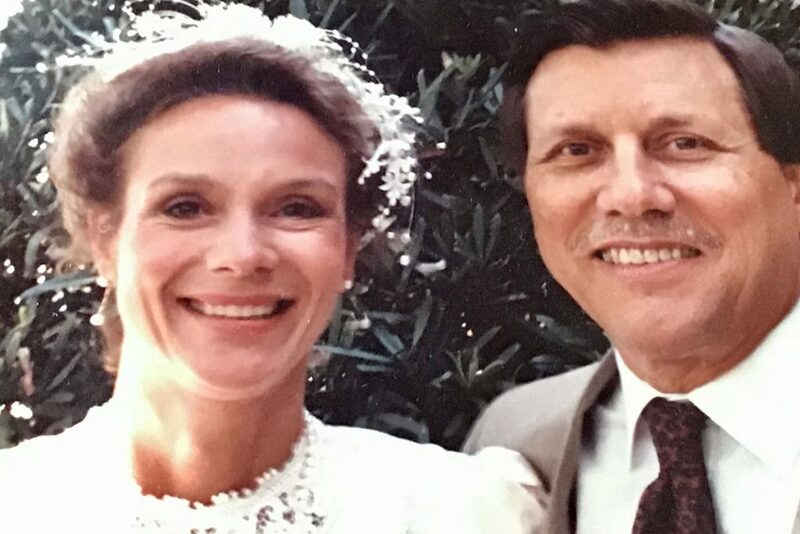 Phyllis Lockwood and Dr. H. L. Geiger wed April 8, 1989 at All Saints Episcopal in San Marco. Married to Phyllis Lockwood Geiger, founder of Peterbrooke Chocolatier, the versatile Dr. Geiger has also earned his wings as a licensed commercial pilot and real estate broker who, although he now calls himself “retired,” maintains his credentials in all his specialties. Recently, still licensed by the State of Florida, he took over the practice of a fellow orthodontist who was temporarily incapacitated. Creativity runs in the family, on both sides. Phyllis Lockwood Geiger has the all-American entrepreneurial spirit in her blood. Born in Westchester, New York, her ancestry goes back to the founding fathers of the nation, including Major Ebenezer Lockwood, a courageous hero of the Revolutionary War and founder of Pound Ridge, New York. When Phyllis was 5 years old, she and her sister, Isabelle (“Izzie”), age 8, lost their beloved mother, Phyllis Ticehurst Mulligan Lockwood, to breast cancer. Their father, Howard Alsop Lockwood, Jr., remarried, moving his family to Darien, Connecticut, where Phyllis was destined to become the first female lifeguard for the Darien Red Cross at Pear Tree Point Beach. 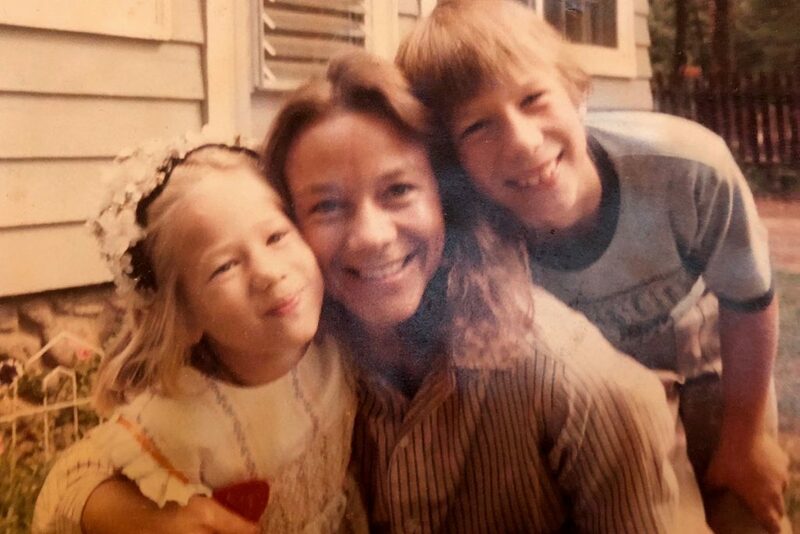 As a single mother in 1983, Phyllis took the “sweet risk” of apprenticing herself to a European Chocolatier in New York, being trained in the European method, and founding Peterbrooke Chocolatier (named after her son, Peter, and her daughter, Brooke). She opened her first store in San Marco. Two years later, the intrepid entrepreneur partnered with Karen Glenn and T. Wayne Davis to open Café Carmon in San Marco. Peterbrooke Chocolatier, during the past 30-plus years, has become a basic holiday expression of love in Northeast Florida and beyond – with baskets, boxes and gift assortments of specialties such as peppermint bark, hand-dipped graham crackers, assorted reindeer pops, and, the most popular item, Peterbrooke’s chocolate-covered popcorn, being shipped all around the United States. The legendary chocolate popcorn story is just one of many inventive steps Phyllis Lockwood Geiger has taken during her long and successful career. As a new shop owner in 1983, having sunk everything she had into her limited and expensive chocolate inventory, Phyllis was unprepared to join the other San Marco merchants as they handed out free samples during their neighborhood holiday festival. She had to come up with an inexpensive solution – and fast! Rushing next door to the San Marco Theater, she returned with a large bag of buttery popcorn and dribbled a bit of milk chocolate on it. The rest, as they say, is history. Even before marrying this imaginative, adventurous woman nearly 30 years ago, Dr. Harry L. Geiger was known in San Marco as a highly-respected professional and a man about town who enjoyed the excitement and adventure of piloting his own plane during his leisure hours. A longtime member of the Aircraft Owners and Pilots Association (AOPA) as well as the American Bonanza Society, Dr. Geiger has owned several single-engine Beechcraft Bonanzas. 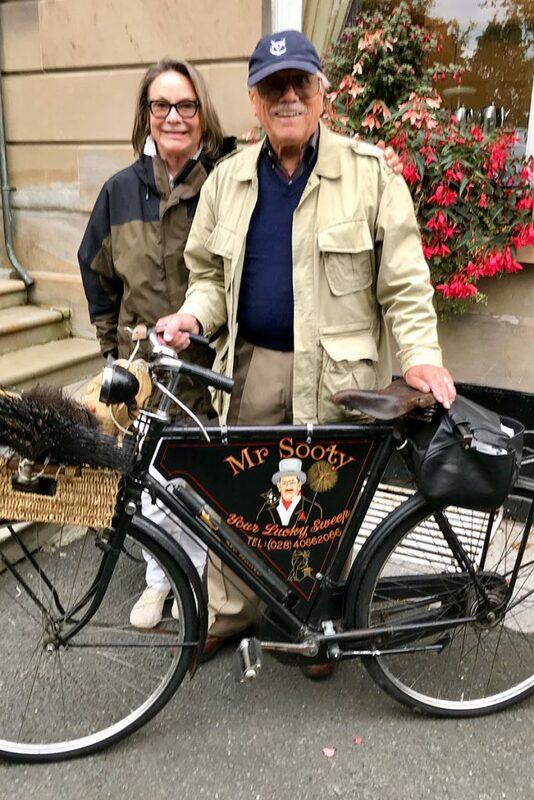 He has flown them both for business and pleasure, to a dental lab in Savannah, delivering Peterbrooke chocolate popcorn to their stores in Winter Park, Orlando or, for the pure pleasure of it, to their vacation home in Hope Town, Abaco, Bahamas. Receiving his B.S. and D.M.D. degrees from Western Reserve University in Cleveland, and his master’s degree in the specialty of orthodontics from the State University of New York at Buffalo, Dr. Geiger was a captain in the United States Army Dental Corps when he took the State of Florida Dental Examination at the old Seminole Hotel in Jacksonville. “At the time, there was no school of dentistry in Florida and the exam was so difficult that only 50 percent of us passed,” he said, adding that he decided then to put down his roots in Florida, taking the risk of leaving his hometown in Ohio and opening his new practice in Jacksonville in 1968, despite the fact that he knew no one. It was when he opened a satellite office in the Baymeadows area in 1984 that Dr. Geiger became a San Marco resident and got to know that pretty chocolatier, Phyllis Lockwood. On April 8, 1989, when they were married at All Saints Episcopal Church, Phyllis’s son, Peter, was 15, and her daughter, Brooke, 11. The family lived on River Road in San Marco for the next 10 years. During that time, Phyllis often visited her mentor and friend, Calligrapher Bobbi Yoffee, who lived in a home on the St. Johns River that had received an award from the American Institute of Architects for outstanding design by noted architect Bob Broward. “Someday, I hope to have a view like this,” Phyllis told Yoffee, never realizing that her “someday” would come to fruition when the Yoffees put the house up for sale in 1999 and the Geigers bought it. Daily, Phyllis remembers her late friend, Bobbi Yoffee, with great affection as she works in the same home office where Bobbi produced her beautiful calligraphy for Café Carmon and Peterbrooke Chocolatier. H.L. and Phyllis Lockwood Geiger and grandson, Daniell Lockwood Behringer, fishing last summer in Tampa Bay with Capt. Joel Brandenburg. Now that their mother has retired from her storied career as a chocolatier, both Peter and Brooke are carrying on her legacy. Daughter Brooke is passionate about chocolate and owns the Atlantic Beach Peterbrooke Store. She has also started a popular cookie company called “Brookie’s Cookies.” After graduating from Rollins College, son Peter Behringer trained professionally in the science of confections, which goes far beyond chocolate. His “Sweet Pete’s” has become a national success story, with Peter and his wife, Allison, partnering with Marcus Lemonis, The Profit on NBC, several years ago. 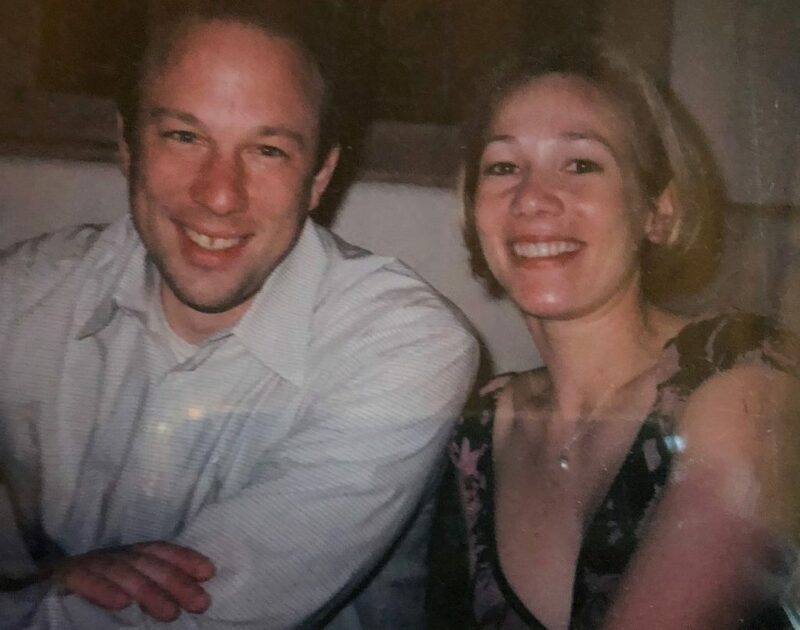 However, according to Phyllis, the sweetest achievement of her son Peter and his wife Allison, by far, was the birth of her grandson, Daniell Lockwood Behringer, now 15. 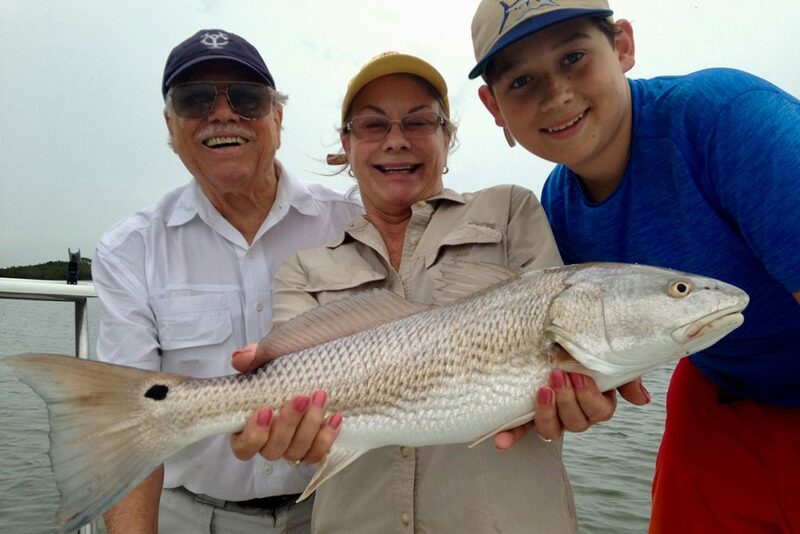 Daniell (the double “l” after his great-grandmother Mamie Prince Daniell Lockwood), loves spending time with his grandparents and shares the joy of fishing with his grandfather, H. L., having fished recently at Mosquito Lagoon in Indian River, Florida and in Tampa Bay with Capt. Joel Brandenburg of Ana Banana Fishing Company. Already a traveler, an adventurer and avid outdoorsman, young Daniell has illustrious ancestry that can be traced back to America’s Revolutionary War, and a family heritage of courageous risk-takers who were richly rewarded for their entrepreneurial spirit. His future, especially under the loving tutelage of his grandparents, Phyllis Lockwood Geiger and Dr. H. L. Geiger, is destined to be one of sweet success.